Hello my ghoulish peeps!! I love Halloween!!! I think it's all the spooky fun, movies, dressing up, scare me, scare me, old traditions, etc. It's just so much fun. 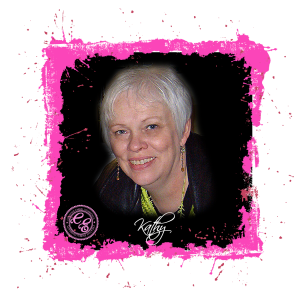 I am sharing with you today a layout I created for Creative Embellishments in which I am featuring a photo I found on Pinterest that I just had to scrap, talk about a little ghoul. 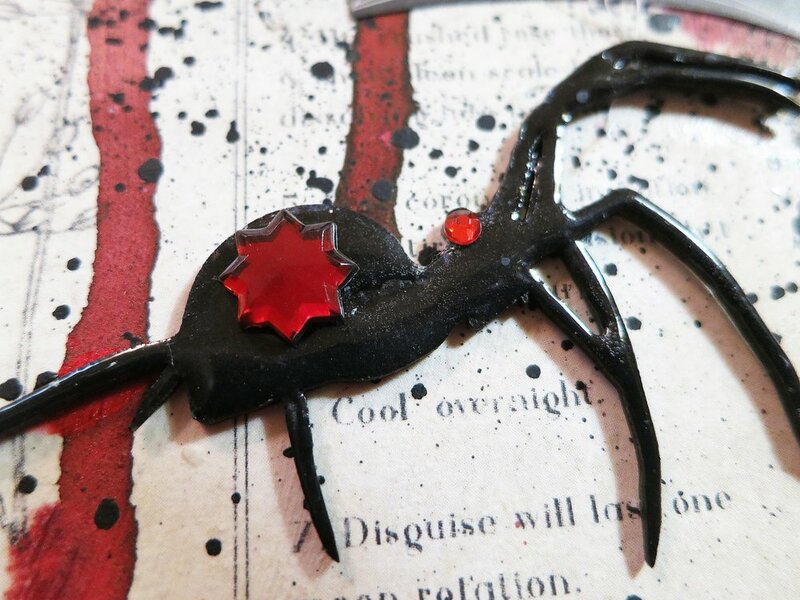 I placed it on a spider web, with skulls, lots of spiders, glitz, and flowers to showcase her impish look. I hope you like it. 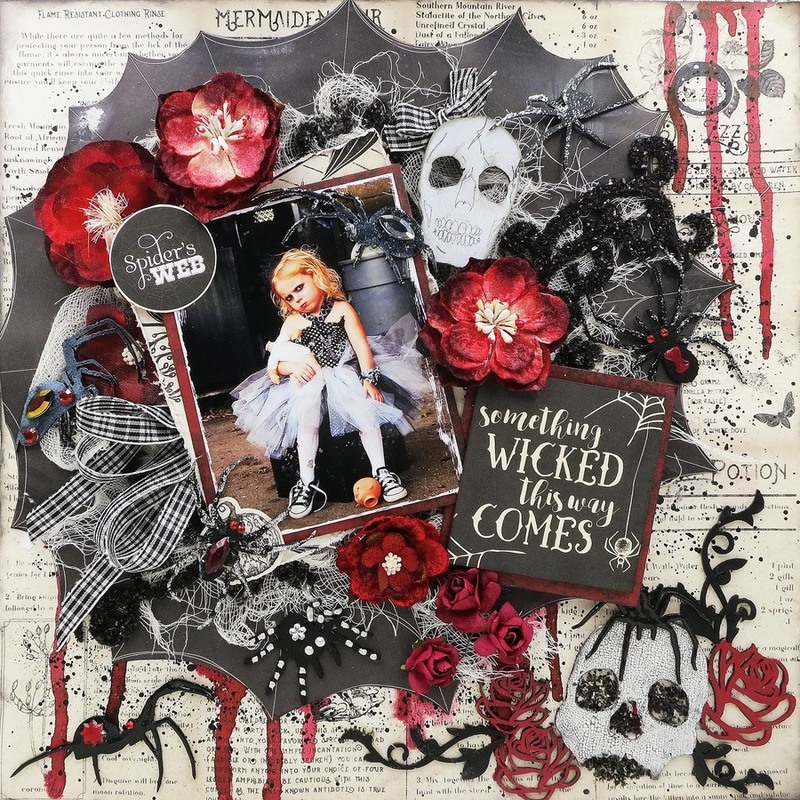 I used lots of cheese cloth behind the photo to look like her tulle dress and tucked in some of the pieces from the Flourish 5 Piece Set which I covered with Stampendous Chunky Black Glitter so that it would really stand out. 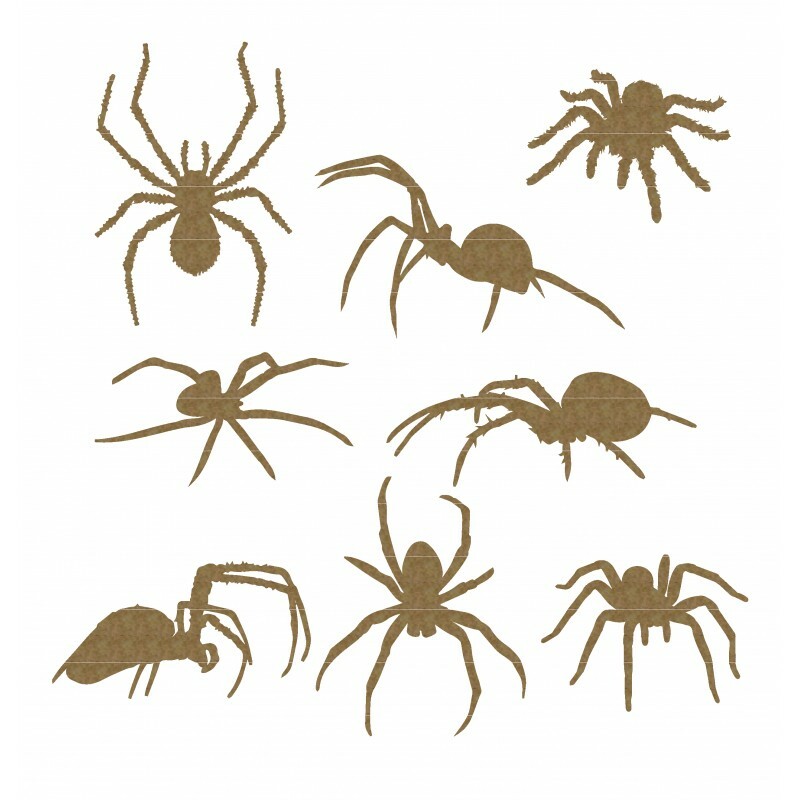 Spiders, spiders, everywhere. 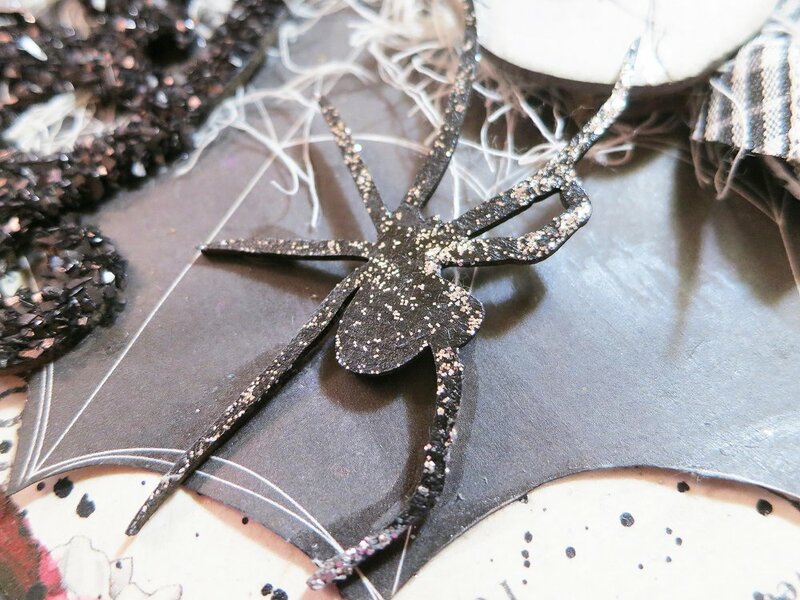 Creative Embellishments makes the best Spiders I have ever seen. 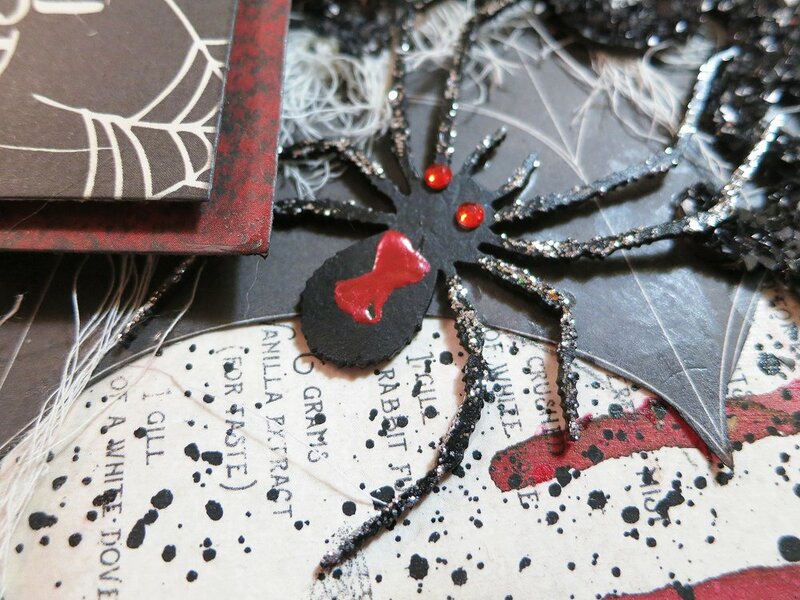 I have used lots of different chipboard spiders over the years on my layouts, and these are the spookiest and most authentic. I embellished them all different, glitter, jewels, liquid pearls, etc. I even drew an hour glass on the back of one to look like a black widow. On another I tried to make it look like a black and white striped tarantula. I used red gems for those where you could see their eyes. Creepy, yes? 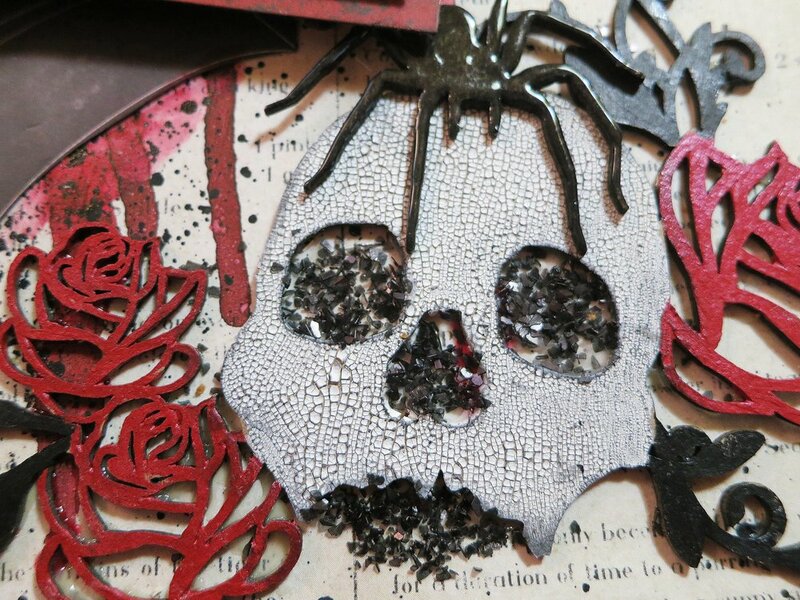 I was really on a roll with this layout and wanted to added more spooky chipboard. 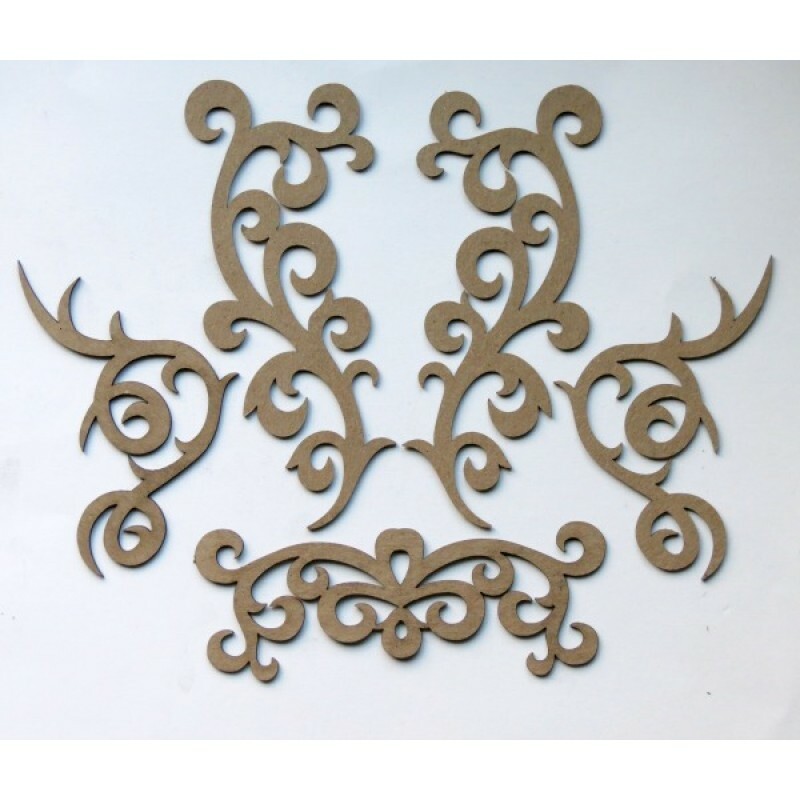 I found this incredible Skull Flourish Corner Set that was perfect! I used the corner piece on the bottom right. 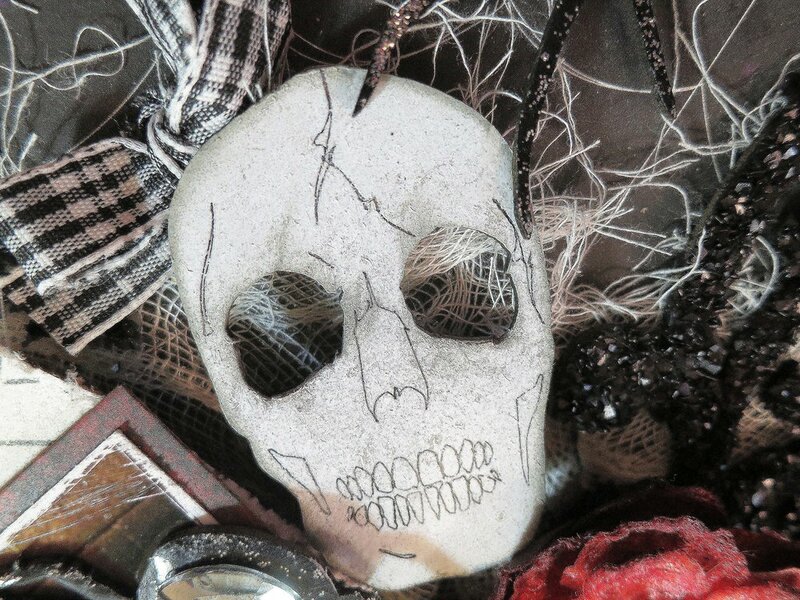 I covered the skull with Tim Holtz "Picket Fence" Distress Crackle Paint. It really crackles when it's dry. Then I added "Black Soot" to bring out the cracks. I painted the roses and vines with acrylic paint. Had to add some glitter for the eye sockets and mouth. On top of the head I put one of the spiders. I think it looks cool!!!! 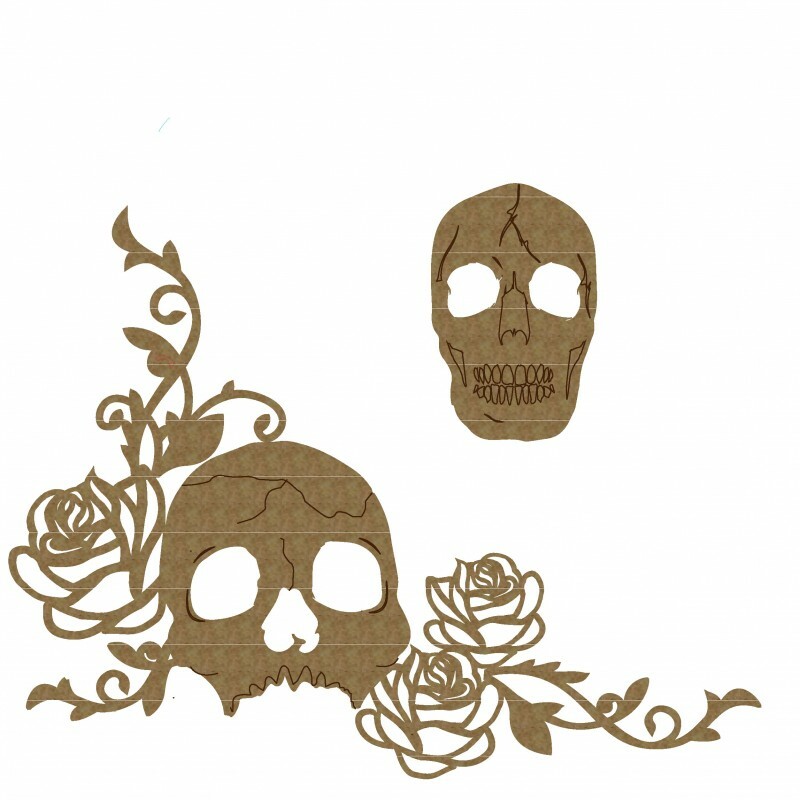 I used the other skull at the top of the layout. I covered it with some Colorbox Mix'd Media Inx in "Jasmine" and then added some black chalk ink to make it stand out. Of course, there is that adorable black and white gingham bow to top it off. Newer PostCreative Embellishments "Brotherly Love"